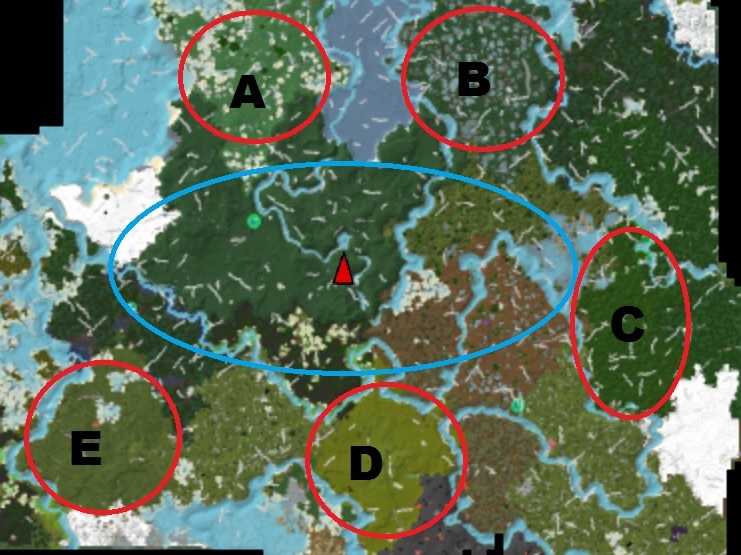 We'll be having 5 teams of 6 (or 7) players, so we'll be generating a new world (in 14-18 hours from this post). Player inventories will be kept, so go and grab your most valuable stuff! I can't guarantee if strongboxes will be new-world-compatible so I suggest not using them to store loads of stuff. I'll also be randomizing new teams, so those who want to be on the same team, please PM me with the names of those players you wish to have by your side (and your team colour). And of course the center area is No Mans Land. Teams can be found below.